Alas, Moongobble still has a lot to learn about magic (most of his spells just turn things into cheese) and all too soon his dreams of becoming a magician are in danger. Edward will do anything to save his friend’s magic, even face the dreaded Dragon of Doom! 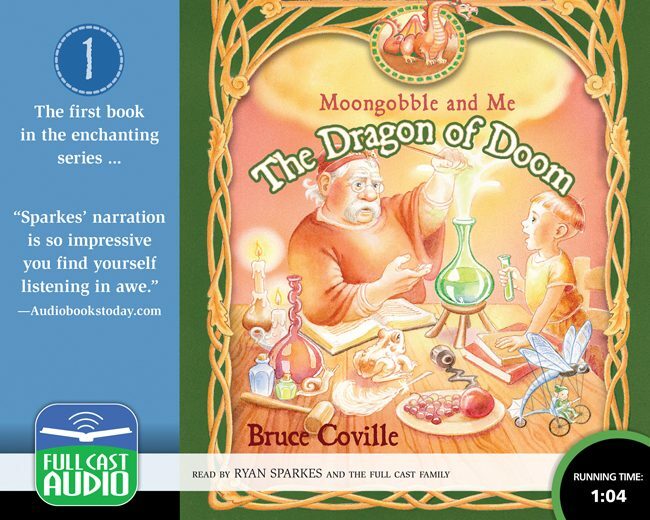 Funny and suspenseful, seasoned with original music and spiced with Bruce Coville’s special brand of wackiness, this enchanting recording is sure to cast a spell of delight on the entire family.